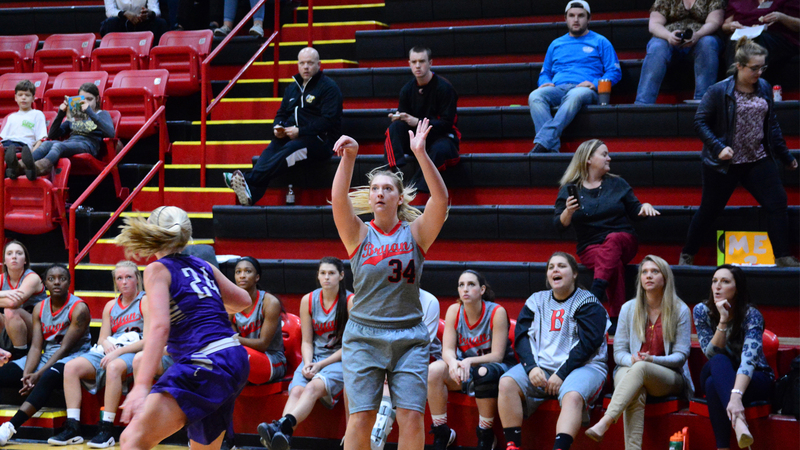 Dayton, TN — Amber Levi established a career high in her second year at Bryan with a 31 point performance recently against Columbia College in an 86 to 45 win. The Lady Lions enjoyed a 24-5 season last year but have struggled out of the gate this year as they look to replace lost starters and transition in Freshman. Bryan is off to 4-6 record(3-4 in conference). For the year, Amber is averaging 12.60 points per game and 4.8 rebounds per game, both increases from her freshman season(11.34 & 3.13). Amber earned All-AAC First Team Honors and All-Freshman Team Honors last year. Two players are gone that accounted for 16 points per game, Kelia Formont and Cheyenne Shaver. Formont also averaged 3.94 steals per game for the Lady Lions. The Lady Lions are moving in right direction with three wins in last four games as they will get into thick of conference action after the first of the year. Before that, they travel to Florida for three games in three days.